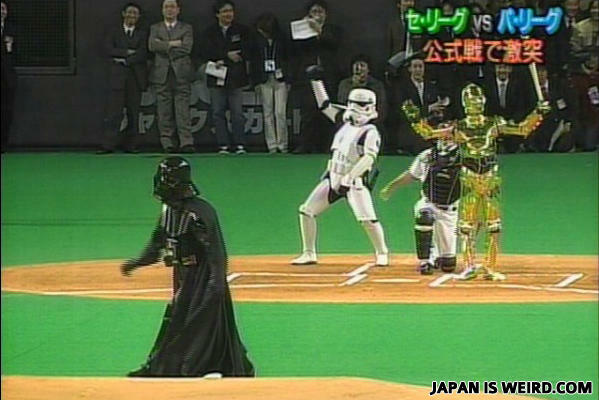 But the game were interrupted because using the Force is so unfair. *waves hand* "That wasn't the pitch you were looking for"
Tokyo wars stars we are. this isn't a baseball game, it's a dance duel. That's Right! Sook it Darth! WE WON THE GAME!!! How many feminists does it take to screw in a light bulb?